InYoga believes in giving back to the community and supporting those in need through raising money for charity, and by creating opportunities for our yoga community to get involved in various seva projects. Karma Yoga or "seva" (selfless service) is an important aspect of yoga. There are hundreds of charities out in the community doing wonderful, selfless work to improve the welfare of people in our society. Many of them receive little support or recognition. InYoga aspires to not only support our charity partners by raising money, but also to increase the awareness of our charities' great work in the community. Find out more about the inspiring and dedicated people we’re collaborating with, supporting their endeavours to make a change in the world. People with passion who are serving and creating a more positive community. 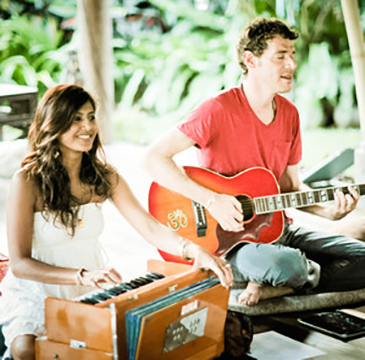 Founded by Edo and Jo A Sound Life is Australia's first charity to transform the lives of people in need and improve their health, wellbeing and happiness through yoga and music. 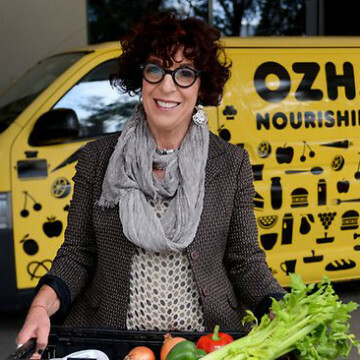 Ronni Kahn started OzHarvest as a way to deal with the excessive food wastage in the hospitality industry.